The other day, Miss Ave T and I decided to go a little spontaneous with our dinner plans and we heard somewhere that this place had one of the best steak and burgers in town. If you have been reading my previous food reviews before, you would know that I am rather particular with my burgers especially the meat that they use. One of the biggest problem with me when I get spontaneous with my food review is that I would have to rely on my sucky BlackBerry camera phone for the pictures, hence I would like to apologise in advance over the quality of my pictures and would credit the pictures that I borrow from the respective websites. 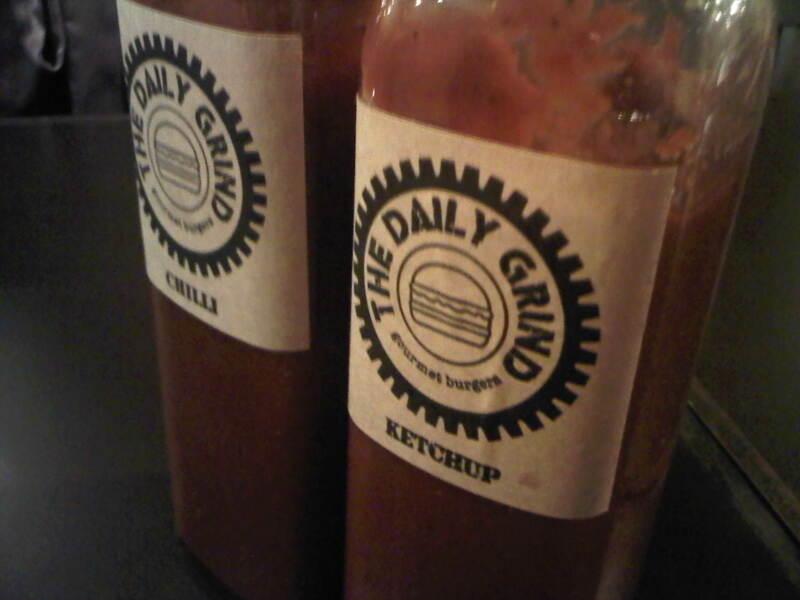 In general, if you are looking for a great place to chill and dine in Bangsar, the Daily Grind is seriously the place to try out. Located inside Bangsar Village 1, the restaurant not only houses a range of awesome stuff within their menu but their restaurant also has a bar that is attached to the restaurant itself. Expect the price range that is similar to Chillis and TGIF with this restaurant. Most of the burgers you would get away within RM25 all the way to RM80 per person, depending on the dish that you order. Might seem a little steep but considering the portion that they serve (which will be reviewed below) I believe its quite proportionate compared to the rest of the upper class restaurants in town. As mentioned above, the location itself is pretty much accessible since that it is located at the basement of the old wing of Bangsar Village. 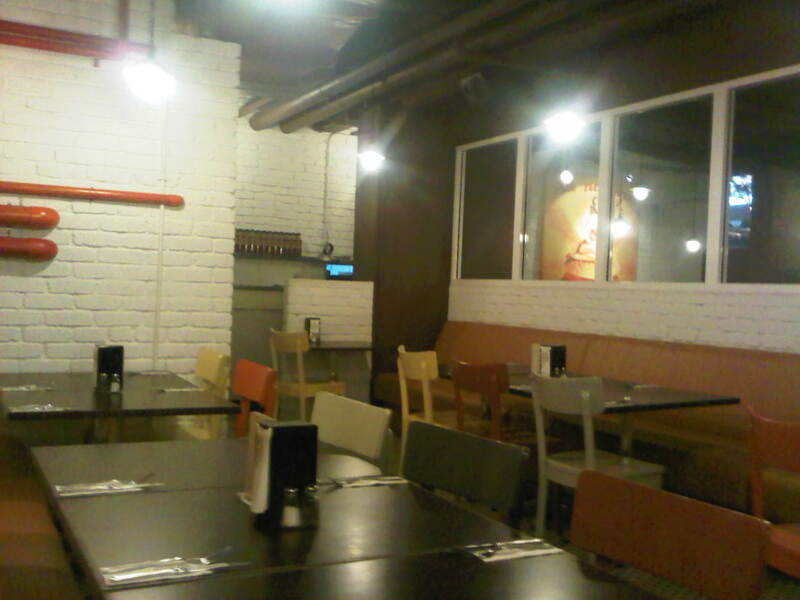 The restaurant itself goes with a very simplistic design, with most decoration follows a "factory" styled theme which is in accordance to the namesake of their restaurant. We were quite lucky since we were there during the end of the kitchen hours so we kinda got the place to ourselves, while most of the patrons are already in the bar drinking and watching sports on TV. 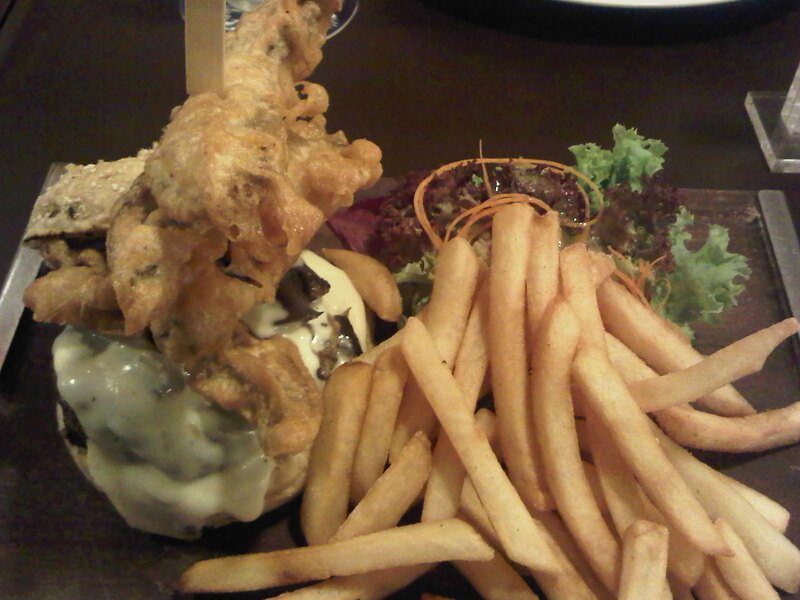 As they have proclaimed themselves to be the gourmet experts in Klang Valley, the focus is of course the meat burgers. However they also have a wide range of western foods as well which is apparently cooked to their own speciality. As most western restaurants here in Malaysia, the food is halal but they could not produce a halal sign outside because they do serve alcohol in the premises. I decided to go for their 1kg Barbecue Manly Beef Ribs while my better half decided to try out their burgers, which comes to this conclusion. It might not look that big here but trust me when I say the portion is huge! 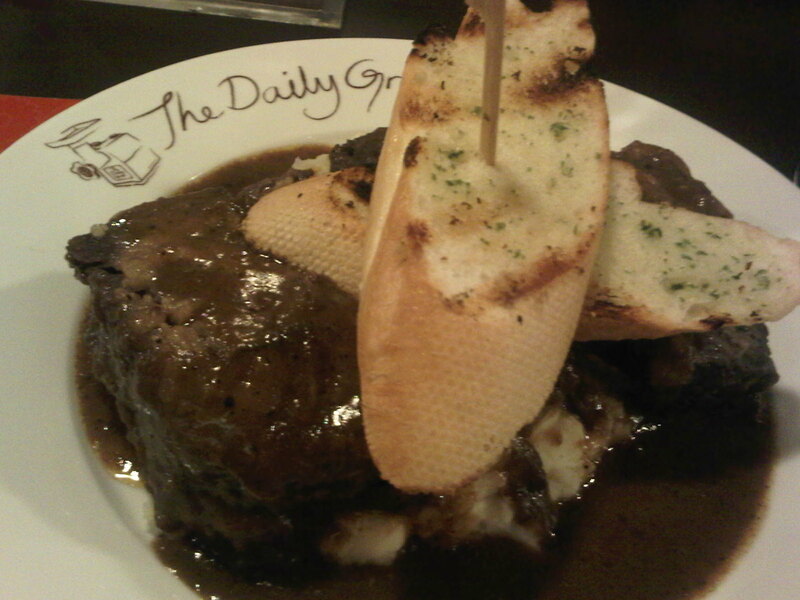 The meat was cooked to perfection, hence the tender taste of the beef mixed with a bed of mash potato underneath it. My only complain was that the sauce was a little salty, which would work wonders for the mash potato but a little too much for the beef. Apart from that, perfection. The burger was also as amazing, with the melted cheese sauce complementing the burger taste perfectly on top of the toppings that they put into the burger itself. I might warn the girls that the portion maybe a little big so make sure you are hungry coming into this shop. Apart from their monthly specials that they usually promote in their shops, was not really informed if there are any promotions that they actually make for their restaurants. Perhaps in the future? All in all, I believe that the food here can go in the ranks of one of the best burgers and steaks I can find in town, which is something considering of my fussyness with food. Not a place that you would want to go everyday (which may burn a large hole in your pocket) but if you are looking for a nice place to dine in Bangsar, this would definitely be a place that I recommend. I've never tried them IN the restaurant itself, but I've tried their delivery service via Room Service. 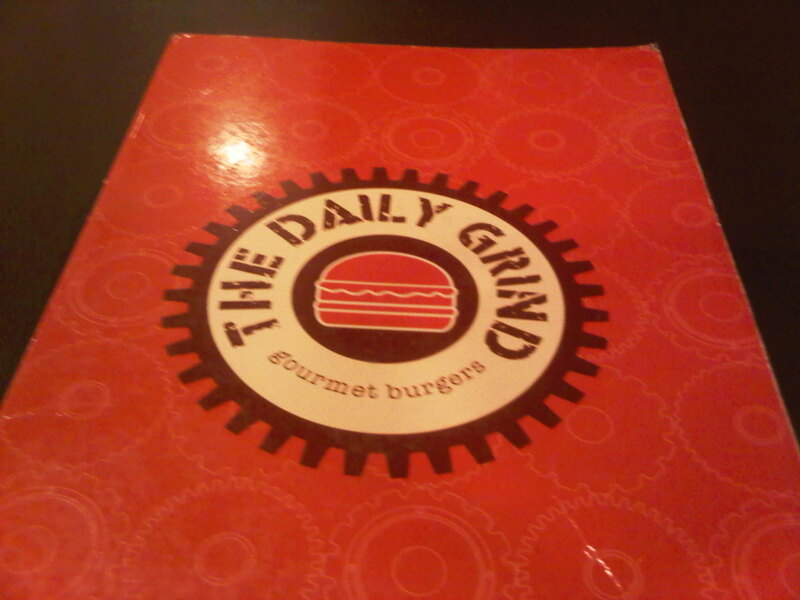 Awesome burgers and reasonable portion! The Beef Ribs looks absolutely delicious. Feels like its calling to me. Look so yummeh! Also looks delicious! can't believe you actually gobbled up a kg of meat! haha.. how is the pricing like? would love to try their burgers!